I have been homebrewing for a few years now, and I like to bottle my homebrew using glass bottles that I collect from wherever I can get them. 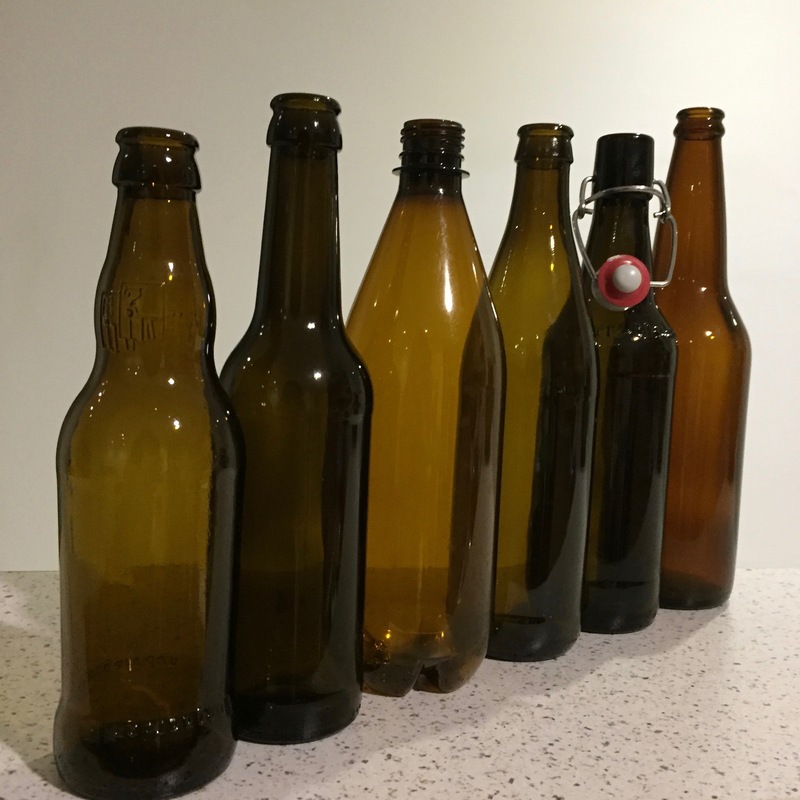 One of the drawbacks of reusing bottles is that I now have many sizes of bottles, with five different volumes. The last time I brewed I calculated the number I needed in my head, and ended up sterilizing about a dozen extra bottles. 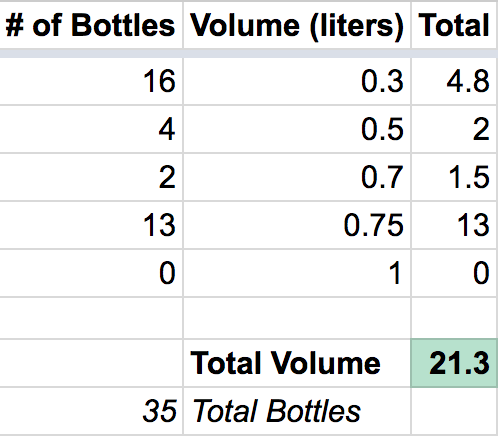 This time I decided to wash the exact number of bottles I needed (plus one, just in case). 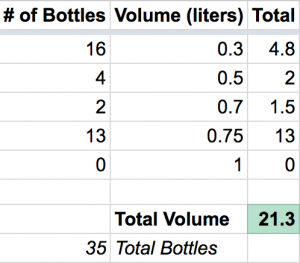 I calculated the number of bottles by creating this simple spreadsheet to figure things out for me.